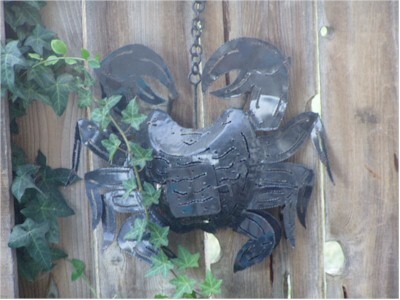 Another "around the house" image: our hanging crab candle on the west fence. We haven't yet used it as a candle, only as a curious decoration in the backyard. Today I started teaching again at Miramar, with a class of 38 students. I'm hoping a few will drop, because our lab only has space for 35. I'll be teaching on Monday and Wednesday nights, as usual.